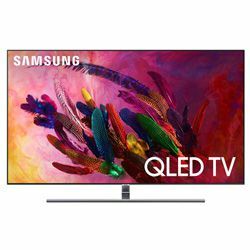 I had a chance to test and compare Samsung QN75Q8F vs QN75Q7F. Both models were released in 2018. Nevertheless, QN75Q8F belongs to the Q8F series, while QN75Q7F is from Q7F. Both series include other high-performance TVs. These two models belong to the high price category. QN75Q8F uses the Direct LED backlight technology and QN75Q7F uses the Edge Led technology. These two models support the 4K standard. Both TVs feature the MR 240 technology that excludes any motion blur. Both models use the Q Color feature base on the proprietary Quantum Dots technology. The high contrast rate is assured by the Q Contrast Plus technology when the anti-reflective screen helps to avoid unnecessary glaring. Both models are powered by the Q Engine that guarantees a very high level of performance – the video playback is always smooth. These two models have a universal guide feature that allows you to find the video content you want to watch. Both models also support OneRemote, which can also control other connected devices (the compatible ones only). These models support the Bixby voice feature. The SmartThings application for your device allows you to control the TV. These TVs have the Boundless 360 design, they have a very thin, almost invisible bezel. 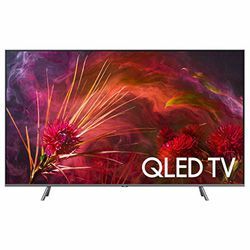 The dimensions are 66x41.4x14.09 in for QN75Q8F versus 65.79x41.2x16.09 in for QN75Q7F (with the stand, which is about 4 in high). Both models can be wall mounted, but QN75Q7F is no gap wall mount compatible, while QN75Q8F is not. Both models have 4 HDMI ports, but QN75Q7F has 3 USB ports when QN75Q8F has 2 USB ports only. The image is clear and sharp with deep and natural colors. The modern design with a very thin bezel. It has many features, so you do not need any extra device, plus this TV is easy to control. Some customers claim that you may get motion artifacts (vertical banding when a camera moves). The built-in speakers are quite good (but some customers still prefer to use an extra set of speakers). Good picture quality – the smart enhancement technologies make every scene more natural. Great compatibility. This TV recognizes all devices connected to the HDMI ports. Some customers find the on-screen menu clunky.